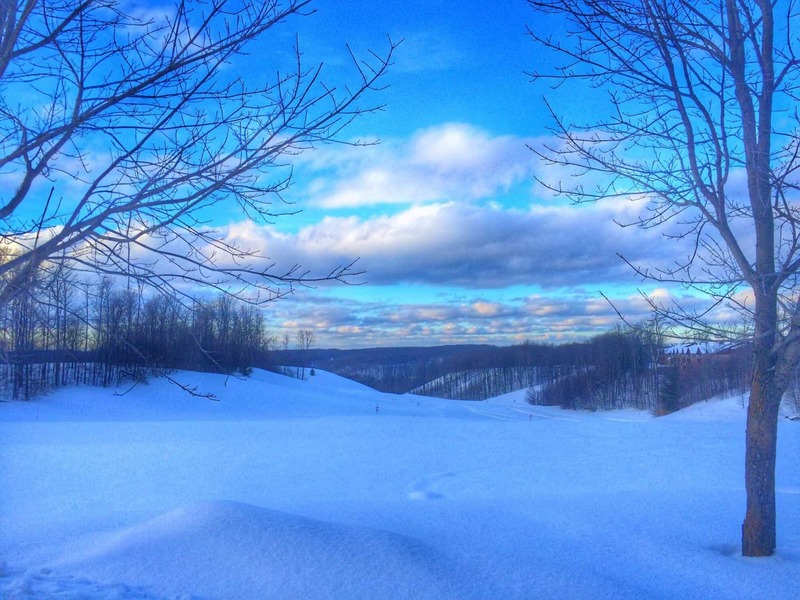 Plan a fun winter weekend getaway skiing in Michigan – the skiing is great in the mitten state! This is the perfect getaway with or without kids. Last weekend, I had the absolute pleasure of traveling north a few hours in my beloved state of Michigan. We met my parents (who were coming from the opposite side of the state) in Gaylord, Michigan at Treetops Resort. And let me tell you, we had a blast! We haven’t had a lot of snow downstate so it was wonderful to drive up and see piles and piles of white, fluffy snow. We arrived around dusk and I made Ben pull over while I snapped the picture above. It was so tranquil and beautiful – I just knew it was going to be a fantastic weekend. 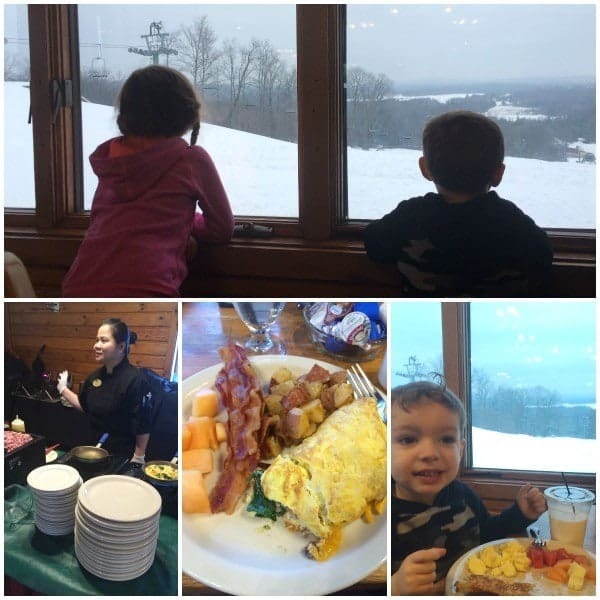 There were so many fun things to do at Treetops – we could have easily spent an entire week there. 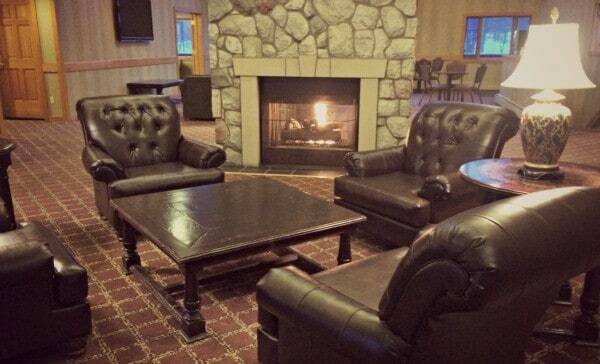 When we arrived in the lodge, we were greeted by a warm and cozy lobby (with a coffee machine!) – just the way I envision a ski resort should be. The desk staff was helpful and cheerful. We headed up to our HUGE adjoining rooms – picture cathedral ceilings, sitting areas and a small kitchen area with a mini fridge and a microwave. We had plenty of room to spread out and the kitchenette was so incredibly helpful for feeding the kids (and for snacking!). Shortly after we arrived, we headed to dinner. There’s a shuttle that runs every 15 minutes throughout the day to bring you anywhere on the grounds, but we hopped in our car and headed to the restaurants, less than a minute away. We ate in the sports bar the first night – they had great choices for the kids. My dad and Ben shared a pizza (Ben said it was one of the best he’s ever had!) and my mom and I split a tasty kale salad with IPA vinaigrette and order of loaded potato skins (it’s all about balance!). We, of course, washed it down with some great Michigan beer (they had SO many beers from Michigan to choose from). 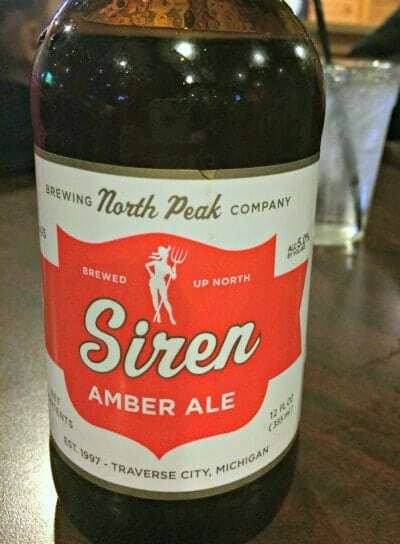 I chose an amber ale from a brewery in Traverse City – it was wonderful. Steak and Mushroom Flatbread – it had a parmesan garlic sauce that was irresistible. My dad ordered a Legendary Chicken Sandwich – a marinated, grilled chicken breast topped with bacon, melted goat cheese and a Spicy Blueberry Pomegranate Sauce served on a pretzel bun…it looked amazing. My mom ordered a Cobb Salad and raved about it. After breakfast, we were off to ski lessons (keep scrolling for some video!). Which, I might add, I should have taken – up until last weekend, I had never tried downhill skiing! My little man, N, lasted about 5 minutes with the ski lessons before he had had enough. I let him bail without pressure. More than anything, I wanted the kids to have a fun weekend and try new things, if they wanted to. E is five and she lasted a little longer with the ski lessons. 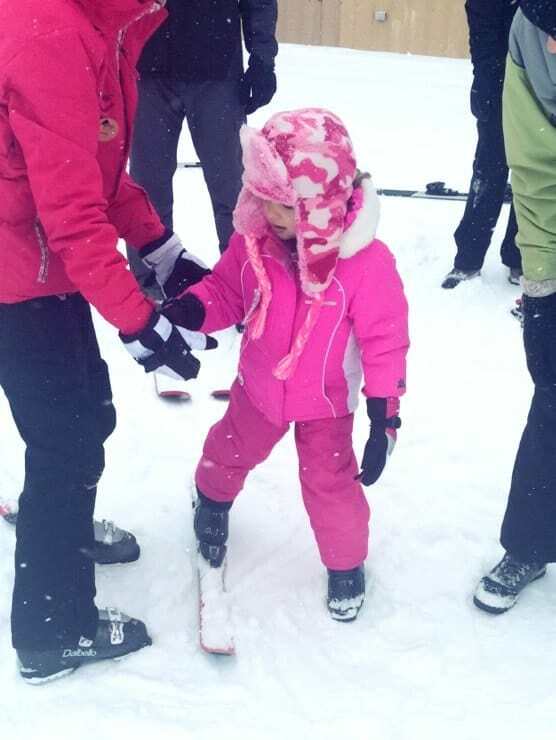 Her instructor was so patient and kind and E went down the hill a couple times with her instructor. I was SO proud of the effort she put into it. After skiing, we went to the room for a quick warm-up and snack before heading out to snowshoe. 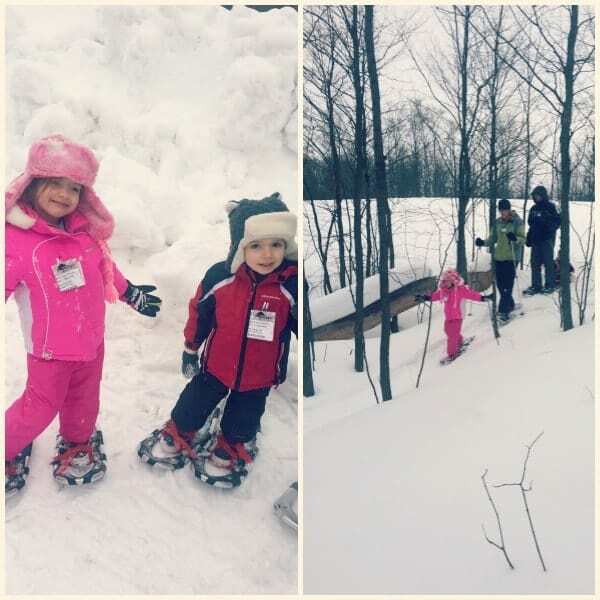 They had snowshoes for the kids and we had a blast exploring the snowshoe trails. Once again, N didn’t last too long (he is only three-years-old), but we had come prepared with sleds, so Ben pulled him through the woods on the sled. After a fairly short (and very slow) walk with the kids, the adults all took shifts with the kids and both my parents and Ben and I had the opportunity to head back out into the woods for a longer snowshoe walk through on the trails. 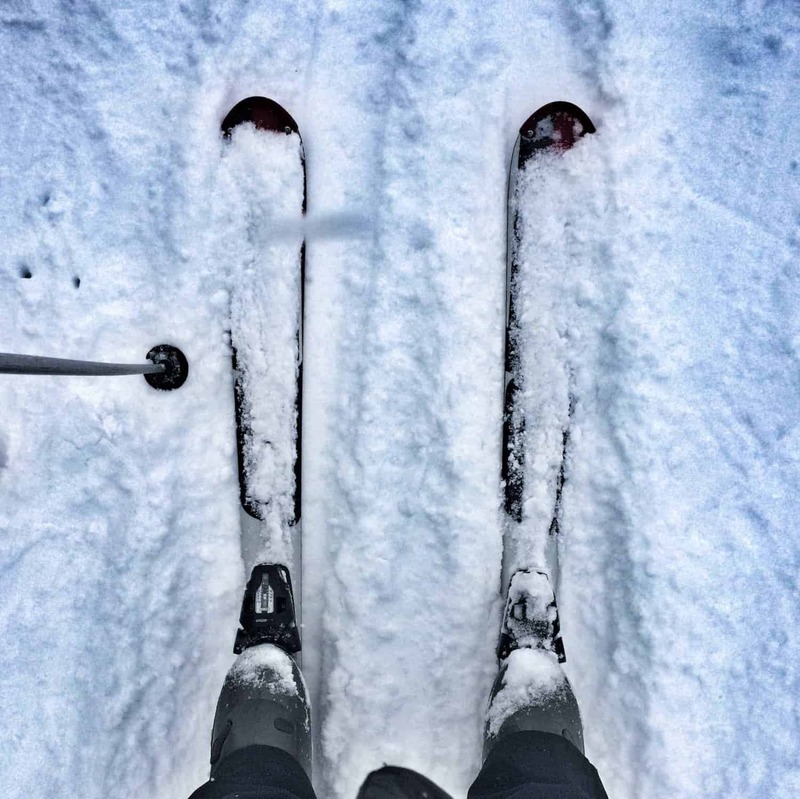 More downhill skiing – I’m kind of determined to master this. Treetops offers 23 runs – something for every skill level. 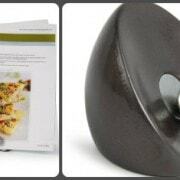 Wilderness Sleigh Ride Dinners – if this photo is any indication, the food on these sleigh ride dinners is amazing! The menu includes cream of morel soup, smoked trout Asian salad, 8 oz. 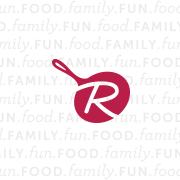 beef filet, sitting on top of a crawfish roasted potato corn cake, topped with sauce Béarnaise and fried onions, served with candied vegetable and blackberry double layered cake, topped with Michigan blackberry wine reduction sauce. YUM. Skiiable Feast – 6 kilometers of Cross Country Skiing with 5 food & beverage stations – what a fun day this would be! Terrain Park – okay so I’ll never do this but if you’re an expert skier or snowboarder, this would be a blast. Fat Tire Snow Biking – I think this would be so fun! 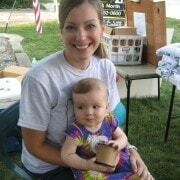 Spa Treatments – I love that they offer massages, mani/pedis, and more! And in the summer months…golfing! Treetops also offers childcare so if you want some kid-free time, you can drop your kids off in skilled care for a few hours of fun on or off the slopes. Here’s a little video I put together of some of our best moments…enjoy! I hope you and your family have the chance to visit Treetops! It would be a great girl’s weekend too – they have chalets right on the slopes that you can rent…how fun would that be? Disclosure: Treetops Resort hosted us and paid for our lodging and some of our activities to help us enjoy skiing in Michigan. I was not compensated to write this post. All opinions are my own. We had a blast! So I love Michigan in the summer, but it sure is pretty in these pictures in the winter!